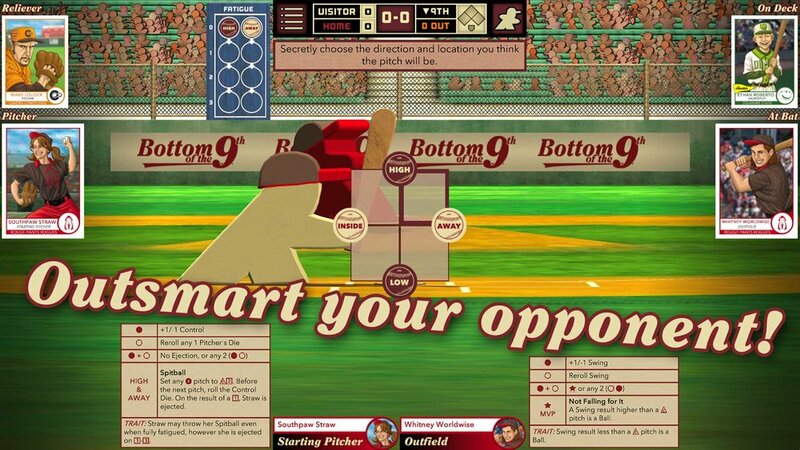 Bottom of the 9th is Now Available for Steam (Plus a Sale)! Why should mobile players have all the fun? Today Windows, macOS, and Linux players can officially step up to the plate with Bottom of the 9th for Steam. 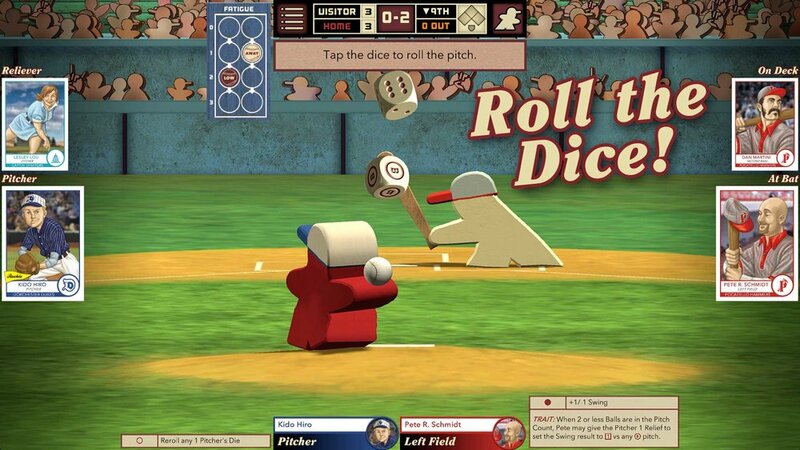 To celebrate, Bottom of the 9th on Steam will be 15% off for its entire launch week. Mobile players can join in the fun as well with $1 off on iTunes and Google Play (please note, the pricing goes live at different times on different stores). The highlight of this release is the brand new Manager's Challenge single-player campaign mode. Players take the role of team manager to lead their team to the playoffs over a six game homestand. 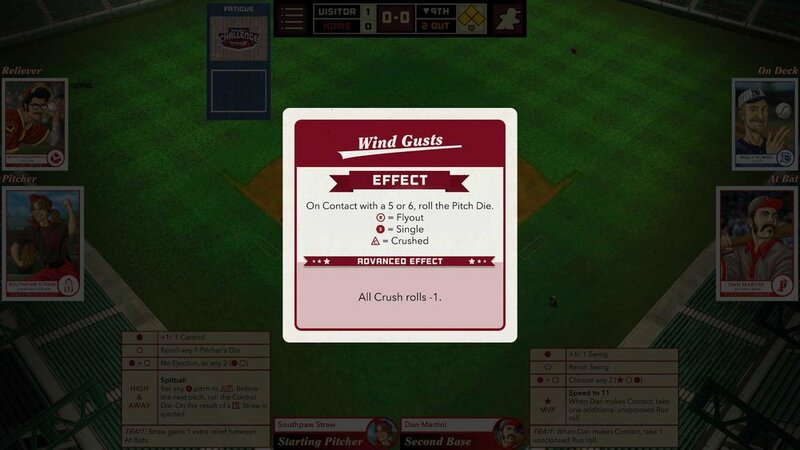 A variety of scenarios modify the game in several ways including pinch hitting, weather effects, and expanding the game to cover several innings. The Manager’s Challenge expands on the many versus modes already included in the game. Players can compete in single player against computer opponents or pass and play with a friend. Online game modes include ranked matchmaking, casual exhibition games, and directly challenging friends. 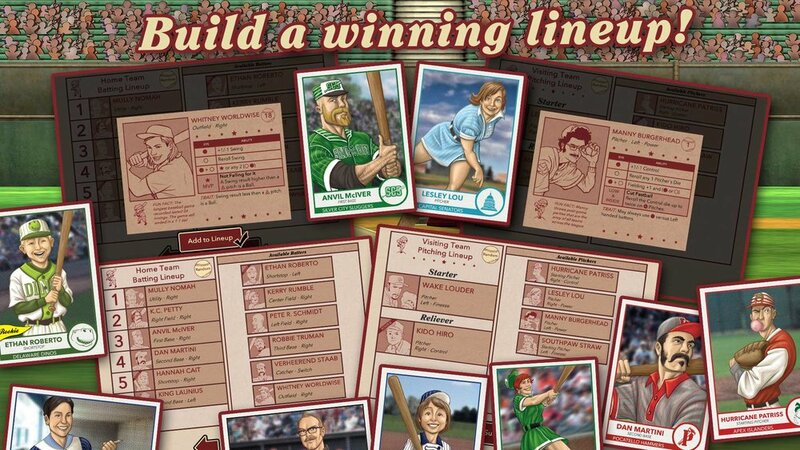 Play six game solo campaigns as the home team against a revolving cast of pitchers. 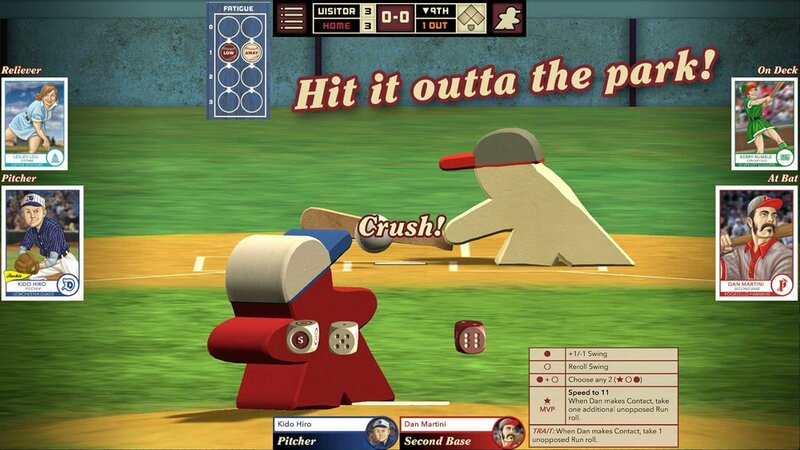 Compete in nine different game situations, including multiple inning games. Each campaign game is played using one of six effect cards that change the feel of the game. 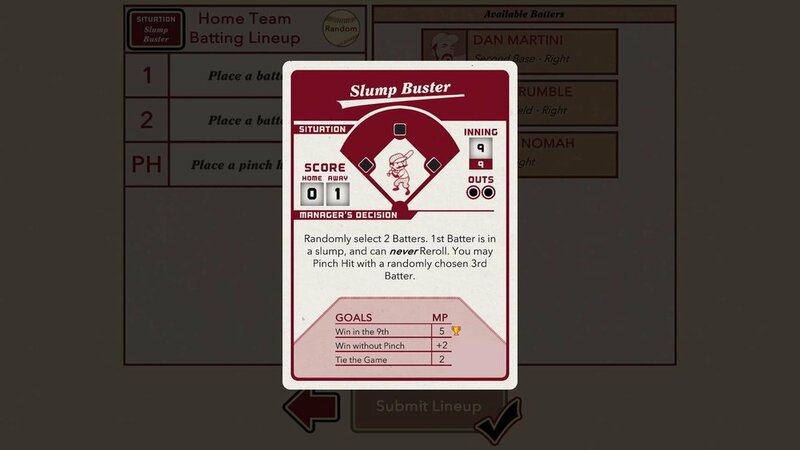 The Manager's Challenge can be played in Classic Mode (using a Pitcher's Deck of stare-down cards) or against any level of CPU opponent. Four increasing levels of difficulty will put your management and batting skills to the test! Earn up to 11 new achievements and compete with others on 8 new leaderboards for the solo campaign mode.